The Transporter is our luxury shuttle that is built on the Mercedes-Benz Sprinter chassis. This Transporter shown here is a 14 passenger shuttle. We can configure it to your specs and give you what you need — from 7 passengers with a huge amounts of cargo space to 15+ passengers. We’ve taken our ultimate Captain’s Chairs and remanufactured them for applications in our Mercedes-Benz Sprinter conversions. Your clients will notice the PMC luxury difference with more comfort, higher quality workmanship and attention to detail. 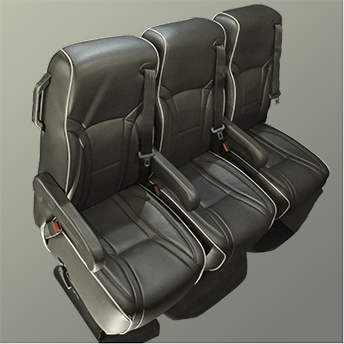 Our seats aren’t just “shuttle” seats, but Captain’s Chairs that are specially designed and reworked into a shuttle configuration. Prestige Motorcoach is known in the industry for the most comfortable and most luxurious seats. 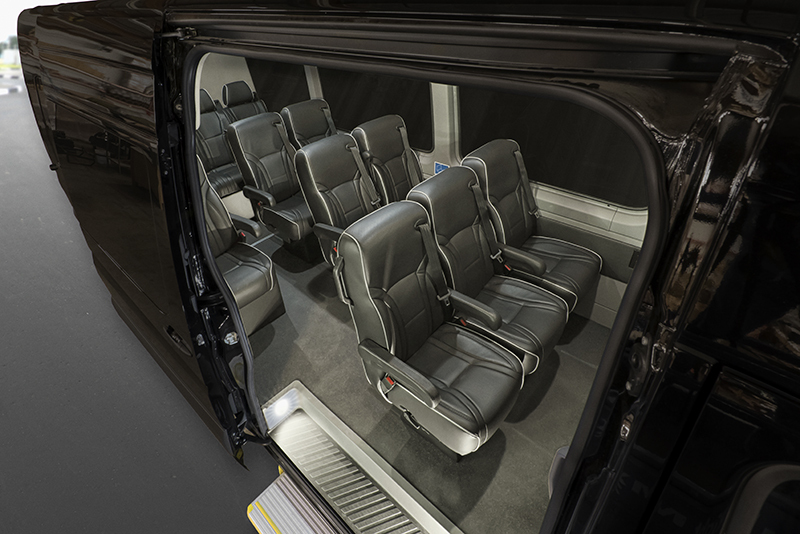 Now, your passengers can experience luxurious transportation in one our our Mercedes-Benz Sprinter Shuttles. Built in-house by our own master craftsman, PMC is known for the most luxurious seats on the market today. 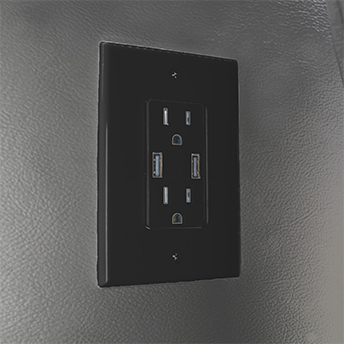 Electrical Outlets with built-in USB plugs can be found throughout the vehicle. Your passengers can enjoy powering and charging their devices and laptop computers.